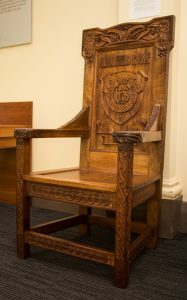 Headmaster's chair carved 1914, Friends' school, Hobart . Who was Nellie Payne? 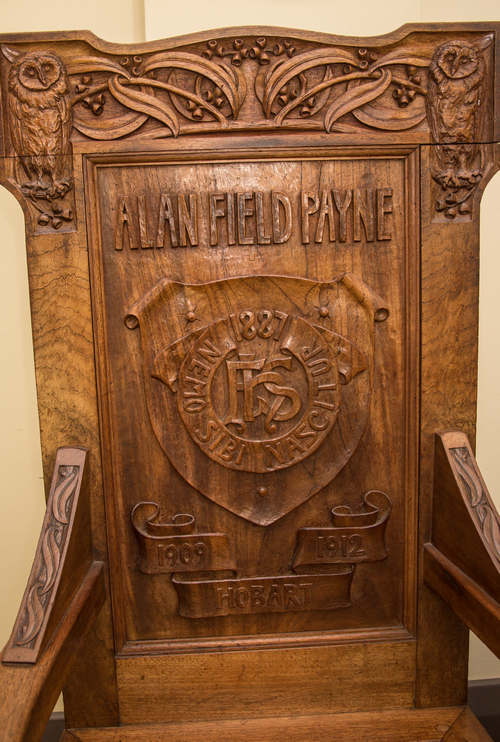 Soon after Alan entered the University, Mrs Payne decided to present a headmaster’s chair to the Friends High School, where Alan had won his first scholarship. She designed and carved a handsome one, and presented it to the school as a memento of Alan’s schooldays there. It was made of old cedar, and it bore a small metal plate recording Alan’s achievements while at Friends. 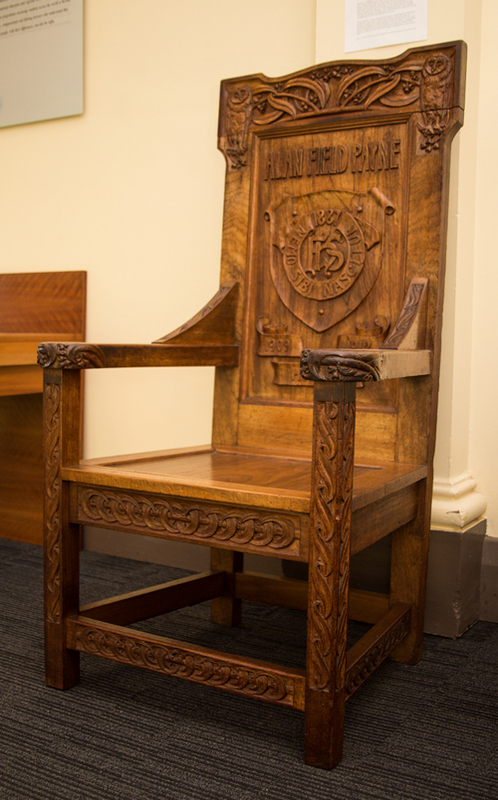 There was, of course, a formal presentation attended by the acting headmaster and members of the staff, and Alan, to whom nothing was impossible, wound up a remarkably able speech for an undergraduate by asking that the school should be given a half-holiday. One can picture Alan, who had his father’s clear-cut features and his mother’s blue eyes, making such a request with tongue in cheek, but there is no record of whether his request was granted.